You must have heard about proteins may be in your schools or in an ad for some protein shake. You must be aware of the fact that it is protein that builds all our muscles. You might know more about proteins but did you ever wonder what proteins are? 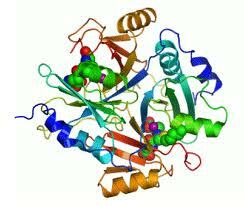 Proteins are large, complex organic molecules. They are made up of smaller subunits called amino acids linked to each other by peptide linkage. They are one of the most important constituents of human body. All your cells, tissues and organs contain protein as an integral component. What is the role of proteins in our body? 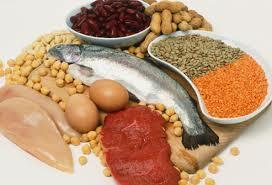 Proteins play an important role in almost all of the biological processes taking place in human body. The main functions of proteins in the body are listed below. Human Cells contain protein as an important constituent. Strong structures in your body such as muscle tendons and ligaments are all made up of proteins. All the enzymes are made up of proteins. Enzymes work as catalysts and speed up the process of anabolic and catabolic chemical reactions. Without enzymes chemical reactions can’t take place. Many of the important hormones of our body are proteins in nature. You might have heard about insulin, a hormone that is required for the normal glucose metabolism and its deficiency leads to diabetes. It is a protein. Other important hormones in your body that are proteins in nature are growth hormones, glucagon, and parathyroid hormones. Proteins have an important role as carrier molecules as well. Hemoglobin, a molecule that transports Oxygen and Carbon dioxide in your body is a protein. Similarly, albumin is another important protein that carries bilirubin and Iron. 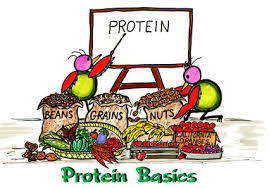 Proteins are integral part of the immune system. The antibodies produced by the body help to fight against viruses, bacteria and other pathogens. All these antibodies are made up of proteins. Proteins help you to stop bleeding after getting a wound or an injury. They are involved in the process of healing. Fibrinogen and Prothrombin are the two important proteins that are involved in the process of clot formation and clot is the first defense of the body against bleeding. In a nut shell, Proteins are essential part of human body structure as well as function. They are involved in the vital chemical reactions and without them life can’t be maintained. One should get at least the daily requirement of protein to maintain good health. Read more: Fast food is no good to health?